My Lumi light (lumi.com)which gets me up by 6.15am – just enough time for me to meditate in bed for 20 minutes, then get up and start readying things before my two children wake up, around 7am. If I’ve had a really late one and just need to carry on sleeping, I set the alarm for 7. At the weekend, all bets are off. We sleep as long as we need to – or as long as the children allow us to – and my husband and I make time for the other to take 20 and fit in our meditations in the day. We both studied Vedic Meditation with Will Williams (willwilliamsmeditation.co.uk), and the positive effect it’s had on the household has been discernible. Before eating anything I always always have a glass of hot water. Sometimes with a squeeze of lime if my digestion feels sluggish. My husband bakes our bread and makes some fab sourdough loaves – so it’ll be eggs with greens or mushrooms, or spicy omelettes, or buckwheat-and-cinnamon pancakes or French toast, or waffles. Always hearty and wholesome, and it’s important to fuel the kids up well for their day ahead too. I’ve recently discovered the Absolution Creme de la Teint – it's absolutely beautiful. Extremely natural, dewy and hydrating, but still evens everything out impeccably well. The always-raved-about RMS UnCoverUp in 22 is my failsafe, if I have 30 seconds to look decent, I pat around my eyes, nose, chin, and then add a pat of blush, and it makes a big difference (rmsbeauty.com). I like a dusting of Inika Organics Bronzer, it’s the most subtle I’ve found for my pale olive skin (inikaorganic.com). The make-up item I wear every single day is blusher… but I’m still on the hunt for my PERFECT peachy-coral blusher – but I rotate between RMS Lip2Cheek in Modest (a great run-around poppy colour) Ilia Multi-Stick in All of Me (a very natural, warm watermelon shade) or Kjaer Weis Happy (when I want a very bright pink pop and my skin is particularly pale)… I hardly ever wear mascara, but of a ‘special’ evening, I’ll reach for Ilia or W3LL People’s one (w3llpeople.com). I’ve got tons! When I was pregnant with my first child, my skin became extra sensitive, and any scented (even naturally scented) skincare, made it sore and red so, raw honey and live natural yoghurt became two of my most commonly used masks – honey is a great humectant – so draws moisture into the skin, while of course aiding repair. And yoghurt contains the naturally gentle exfoliant, lactic acid, which also soothes – so it’s a great face mask to rebalance combination skin – to exfoliate and hydrate at the same time. Loving yourself as unconditionally as you love your children. You’ll make mistakes, you’ll say stupid things, you’ll regret and fear and doubt, until you realise, you really were just doing what you believed to be right. You’re doing your best. You’re unique, and you should love yourself the way that only your nearest and dearest love you – no conditions. Mostly linked to rest, letting go, slowing down and topping up that inner reservoir. Every couple of nights I make a point of heading up to bed really early (8pm early! 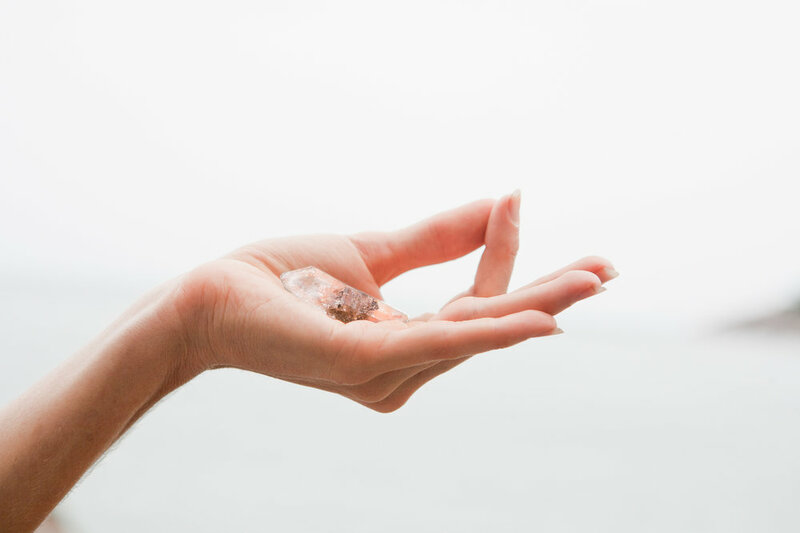 ), I line up a Yoga Nidra or meditation session with my favourite online yoga company Movement for Modern Life (movementformodernlife.com), get my room ready – light a Neom candle, wrap myself in a blanket, support my body with a bolster and pillows, and just disappear into it (neomorganics.com). Breathing, blissed out, in a silent house as the children slumber restores me so hearteningly, and I don’t need to head back home afterward, I’m already there. I think that my love of Ayurveda has helped guide my hand a lot, it’s such a gentle science, strenuous exercise is seen as a bizarre concept in Ayurveda it asks: why push your body so hard, make yourself lose your breath, sweat buckets, and then ‘refuel’ at the end? We’re not machines, we’re soft tissue and tensile bone, fluid cell and moist membrane. Go easy, go slow, go soft, which I know isn’t very fashionable, but it just feels right to me. I like that softly softly approach, I sometimes wonder if the reason so many of us are addicted to things such as sugar, alcohol, nicotine is because we’re partially depleted in spirit so we never stop hungering after something to fill the hole. When I am completely depleted, and have been working too hard and sleeping poorly and not decompressing for days on end, the simplest mantras I use are ’Nothing is required of me right now,’ and ‘I give myself permission to rest.’ When lying in bed, mind racing, trying to sleep – saying that over and over – makes me realise that I cannot do anything else in that moment. Just accepting peace. Stillness. Nothingness. Knowing that “Inaction is an Action”, we can choose to be still, thoughtful, restful, meditative, quiet. It’s not lazy – it’s wholly restorative, and oh so bloody necessary. I shall continue to be fascinated and guided by Ayurveda forever, and the Art of Self Healing by Dr Vasant Lad is brilliantly insightful (amazon.com). Ironically, however, given that I work at Psychologies, I have never really read a self-help/improvement book. If I have time to read, I reach for a novel. I read literature at Durham and grew up longing to live in a library. Reading has always been my deepest, purest pleasure. So, I’ll reach for my favourite books – Atonement by Ian McEwan, Beloved by Toni Morrison, Arcadia by Lauren Groff, The Tenant of Wildfell Hall by Anne Bronte, A Passage to India by E.M. Forster, Tess of the D’Urbervilles by Hardy. We so often learn about the experience of others empathically, and novels take us out of our own over-busy minds, so, so needed. Everyone at Psychologies thinks that my need for a second breakfast is hilarious – but if I eat at 7.30am with my kids, by 11.30am I am seriously hungry again (I can eat anything for breakfast, I’ll still be hungry 4 hours later). At which point I normally have a small bowl of porridge, or granola and nut milk, or leftover pancakes or waffles with cashew butter from that morning, if I’m stuck somewhere, hungry, with no food about my person, I’ll head for a Crussh or Pret or Eat or Leon as you can usually find one of those in a station or airport – and their wholesome veggie soups are a great snack if you’re stuck between lunch and dinnertime. More often than not, it’s simply blissful to get down to my mat, in my own bedroom, with Movement for Modern Life a few times a week – and do whatever I am in the mood for that day. It’s very rarely dynamic, as I practice at night when I am hoping to wind down, but stretching is always so welcome and so wonderfully soothing. Aside from that, simply walking and lifting (kids! kids bags! kids and bags, and shopping!) and being on my feet a lot. I am a bit of a fidget, but also get up every 30 mins at least if at my desk, for a nice stretch and short stroll around. On non-desk days, I walk everywhere – all around London – and at weekends, I can go from 7am to 7pm (when kids are tucked up) with hardly an hour’s rest, so, I figure, that’s my exercise! Incidental – which I actually believe is the best sort of movement. I also love The Organic Pharmacy Rose Balm which I use inside the nostrils to catch any inhaled airborne bacteria (instead of Vaseline), and all over dry patches, lips, hands – the smell is incredible too – so a wonderful mood-booster on the move. 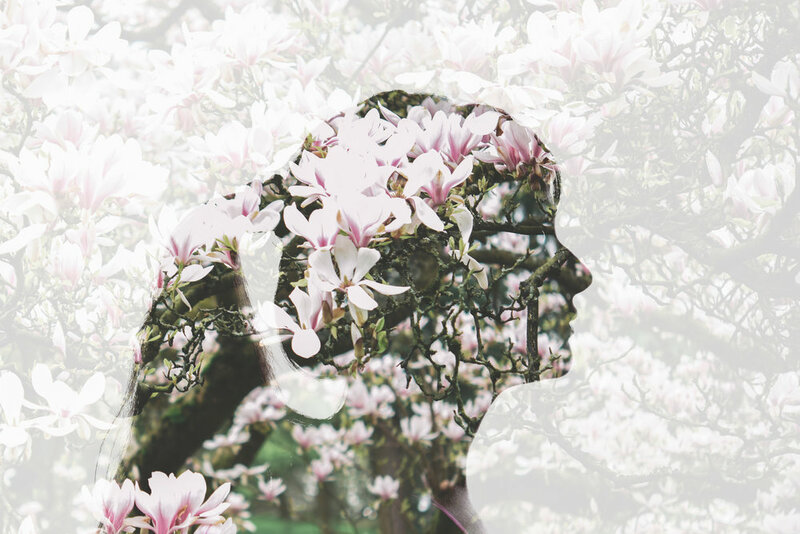 Getting the right balance between my beloved role at Psychologies, where I am Wellness Director, and running my own conscious consultancy, LEAF – and just ensuring that I am passionate about everything I do. Always asking myself, ‘Does it feel right? Good? Positive? Joyful?’ – and then saying a big fat YES if it does! Partnering with people and brands who live and breathe a holistic health message – and do so ethically and kindly – lights up every cell of my being. I’m excited to have launched a series of wellness events with COMO Metropolitan, and am plotting several more collaborations, getting to be creative, in a way that benefits others, wow, that’s the dream. In the mix, of course, there’s the crucial time with my family, who are everything in this world to me and who will always come first. So, I am working towards a 4 day working week with 3 full days unplugged, connected and present, and unapologetically so, which takes practice, but which is at the core of the LEAF ethos – I want everyone I work with, and everyone I ultimately employ to switch off and be wholly unavailable on a regular, pre-agreed basis. Anything else is plainly unhealthy – and we have to stop pretending otherwise. It just feels right. Our purpose is at the heart of our wellbeing. And defining that purpose, and working to achieve it, delivers fulfilment. I don’t have any great lofty notions – I just want to feel as though I go through life kindly, thoughtfully – naturals in skincare felt right, ethical clothing felt right, reusing and repurposing rather than discarding or buying lots of new stuff felt right, growing our own veg and baking our own bread and eating seasonally felt right, and for so many, these things do bring joy and go on to improve our health as a result. So, for me, it was working out what simple things just made me feel happier. And when it comes to my health, honestly, it’s the simplest answer of all: our health is everything! But being painfully strict and careful and cautious and controlling is not health. Being dogmatic about how many times you’ll move, for how long, and how hard, in order to expend how many calories, is not health. Eating every green leaf and rainbow-coloured superfood under the sun, entirely out of season, and when you don’t really fancy it anyway, is not health. Begin within: begin with how you feel, and what you want to feel. Once the spirit and mind are nourished, the body follows suit, and trust yourself more. It is based on the 5 Elements Theory – that all living and non-living matter is made up of earth, fire, water, air and ether. Working out which elements predominate in your own body is just the beginning… once you know this, you will also learn which foods will energise, balance, aid weight-loss, irritate or aggravate. It’s fascinating stuff! I call Ayurveda my contingency plan for chaos. We know modern life is tough – unbelievably busy, tiring and stressful at times. While I am not in a position to press the pause button in any permanent way (I have bills to pay, children to raise, deadlines to meet), I really need a way of living and eating that makes me more resilient, emotionally and physically. Ayurveda offers a completely holistic way of eating and being. All Ayurvedic advice considers not just the effect upon our body, but also the effect on our emotional and spiritual health. I would never want to eat in a certain way solely to lose weight or alter my appearance – the really crucial thing for me is that I FEEL wonderful in my own skin, and have a calmer and happier outlook. Recent research has identified the link between our gut health and our mental health (95% of serotonin is made in our gastrointestinal tract). Remarkably, given that Ayurveda is a 5000-year old medical science, they knew that our gut health held the key to our wellbeing. The Ayurvedic diet focuses on promoting optimal digestion and metabolism (called agni) but also on eating for your own unique body type. It is also high in sattvic foods, which naturally leave us feeling happier, calmer, peaceful and positive – happiness is a happy stomach! So, Ayurveda is seasonal, it is individualistic, it is about promoting optimal gut health – all things that we know, in modern life, are important if we are to eat healthily in a practical and long-term way. It is also kind, moderate and adaptable – which is why it’s so perfect for modern life. There are foods that do not best support your body, and those that do, and it’s about balancing the two. Food is medicine, and we need it more than ever in the 21st century! Ayurveda is a realistic and liveable foundation for modern life – and it’s so simple to adopt. Start by adding smart spices to your food, and adapt the herbs and spices you use season by season (this spring, try adding more fresh mint, parsley, coriander, chervil, dill, turmeric and cumin to your food). Then start adapting your daily menu to include more sattvic foods and dosha-supporting ingredients – sattvic foods are whole, pure, organic and uplift our senses, they are full of life’s energy, but always ‘light’ on the stomach and easily digested: nuts and nut milk, seeds, organic seasonal fruits and vegetables, legumes (mung or yellow split lentils ideally) and herbal teas. Then consider eating a lighter breakfast in warmer weather (we can eat larger breakfasts in autumn and winter), make lunch your most substantial meal, and have a lighter dinner. By doing these simple things more often than not, and eating the foods that best support you seasonally and individually (to Discover your Dosha, take our test here), you will be giving yourself a solid and strong foundation of good health that you can then build on, if Ayurveda continues to interest you. I don't care a jot for 'trends' (particularly those with 'hot / not' & 'up / down' barometers - as though our lives should be lived in servile, panicked, nodding-dog obedience to some editor's arbitrary selection of 'cool'), which is why I've never written a 'wellness trend piece' for Psychologies Magazine. Honestly, the fickleness of this industry... Mindfulness, chakras, meditation, Ayurveda, reiki, yoga, crystal healing - any ancient complex multifarious thing suddenly held up to zeitgeist-driven scrutiny - and declared unfashionable - as though any one of us has the gift of wiping out millennia of deepest-rooted wisdom with the swipe of an i-pen. Or latched onto as a sales tool; a godless gimmick. Trendy, latest, hot, in, it, must-have, to die for... not one of these terms should have a place in our lives. Wellness is about life, and simply, living well. Utterly uncomplicated. Wholly intuitive. With kindness. With reflection. With peace. With contentment. Longevity and energy, silence and light. You go deeper each time, you become more curious, you understand that there are oceans of the unknown in every breath... you become 'heebie jeebie' or 'new age-y' because you're meditating & smudging & grounding... but not at all really - you're the same, just feeling your way, drawn to what you always knew (but probably forgot around aged 8). There's no quest, just breath. No diktat, just rhythm. A well being. Your barometer is the only one you need heed.